A group of South Korean owners of MAN trucks will head to a local district court on July 23 to file a class action lawsuit against MAN Truck & Bus Korea, Korean unit of German truck maker MAN SE, arguing the trucks have multiple defects causing damages. MAN truck owners’ suit comes just a month after owners of Mercedes-Benz trucks filed a lawsuit against the German headquarters Daimler AG and Daimler Trucks Korea for similar defects that had allegedly caused serious physical and financial damages. According to industry sources on Friday, 72 owners of MAN trucks have decided to file a class action lawsuit with the Suwon District Court, claiming damages on MAN Truck & Bus Korea for financial injuries and mental suffering caused by multiple defects of the vehicles repeated despite repair and part replacing. The plaintiffs demanded 5 million won ($4,404.12) for each truck owner, saying it took so long to have their trucks repaired and that they could not go to work. The owners argued that the trucks have defects including steering issues that made them impossible to turn the cars in the right direction they wanted to go and water retarder problems that caused rust and corrosion on other parts. Trucks also have transmission problems that made the gear shifter automatically move to neutral, they claimed. The mentioned defects are similar to those claimed by Mercedes-Benz truck owners, who already filed a class action suit against the German headquarters Daimler AG and Daimler Trucks Korea in June. The 48 owners demanded 100 million won for a person whose family member died in an accident caused by malfunctioning parts of a truck, 20 million won for another injured and 5~50 million won for the rest for compensation, according to Barun Law LLC representing the plaintiffs. The Korea Transportation Safety Authority has already opened a probe for the problems in MAN trucks. The automaker has also hired an outside institution to carry out its own inspections while cooperating with the government’s probe, an official at MAN Truck & Bus Korea said. 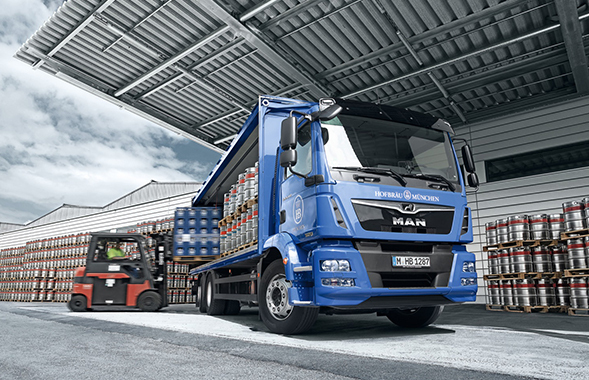 Germany-based MAN Truck & Bus made a foray into Korea in 2002 and sold a total of 585 trucks for the first six months of this year in the country with the second largest share after Volvo Trucks.